Oyster Harbors Marine completed the installation of this project on Cape Cod early in the summer of 2009, atop the marina’s new 20,000 square foot boat storage facility. 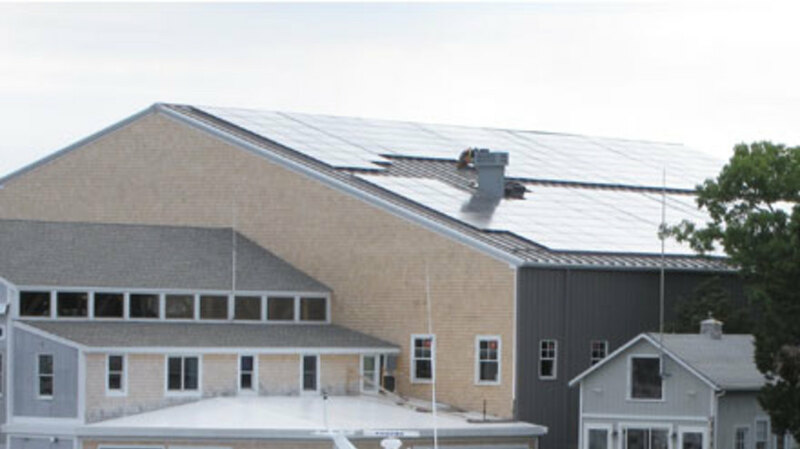 The 58 kW solar project was designed, engineered, and built by Nexamp.The solar array, consisting of 276 solar panels, will generate approximately 30% of the electricity needs for the full-service marina located on North Bay in Osterville, MA. 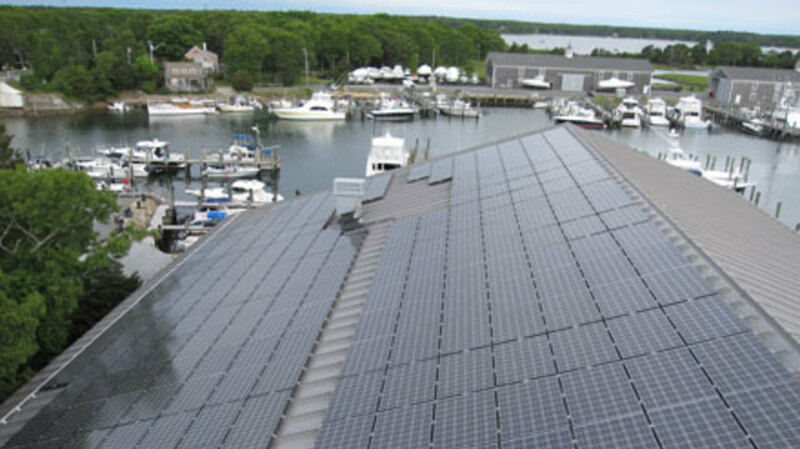 The system is connected directly to the utility grid, and immediately began lowering the marina’s electricity bill. The project will pay for itself in less than five years, and has a design life in excess of 30 years. Nexamp is a great company to work with. They do what they say they’re going to do, and they are always on schedule. 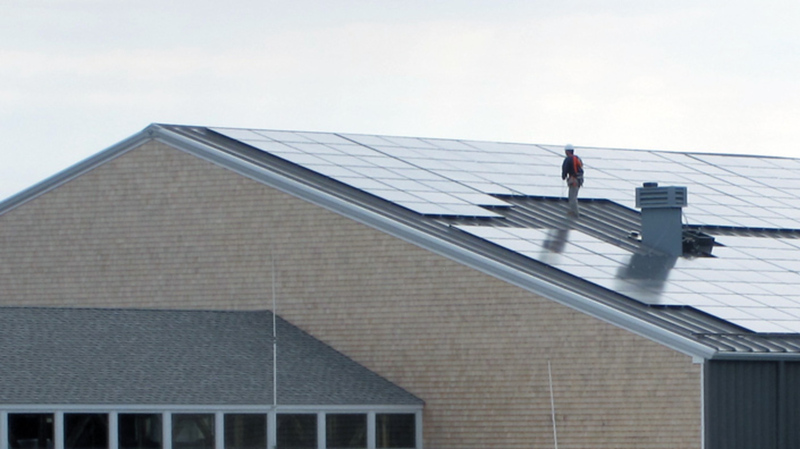 If we’d more room on our facility, we would’ve installed even more solar panels. We ran out of roof! We’re extremely excited about this project.